You can now enter the 50/50 draw online from our own store! We recently launched the 50/50 draw to help finance works to the Robert McCallion Memorial Pitch and we have experienced overwhelming support from the Swinford community. 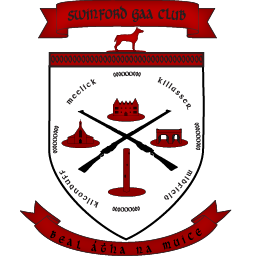 We have now added the option to enter the draw online for up to a year, so all our expatriated Swinford GAA followers can support the GAA club from afar. This also is a great option for the locals that want to make sure they are entered each week.